Traffic Deaths On The Rise -- What's Really To Blame? 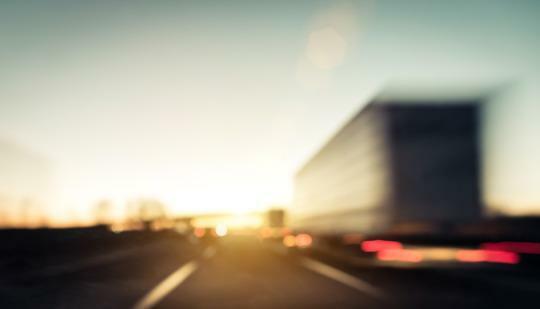 The National Safety Council reported this week that traffic deaths and serious injuries in the U.S. are on a pace to rise for the first time in nearly a decade. If the trend for the first six months of this year continues, the NSC says traffic fatalities in the nation will exceed 40,000 for the first time since 2007 and deaths per 100 million vehicle miles traveled also will increase. This despite evermore crash worthy cars and high-tech electronic safety features. The “speed kills” coalition will blame the trend reversal on many states’ recent moves to higher highway speed limits, but the real culprits, suggests NSC president Deborah Hershman to the Associated Press, are low fuel prices and – get ready for it – cellphone mania. 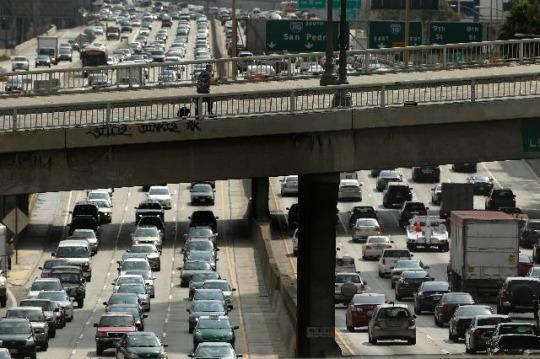 To be sure, Hershman says, Americans are on the road more than ever; miles driven in the U.S. increased for 15 consecutive months through May and set an all-time record for travel in the first five months of the year at 1.26 trillion miles, a record that stood since 2007. But, the 3.4% increase in miles traveled doesn’t square with the 14% jump in fatalities for the first half of this year. The Insurance Institute for Highway Safety has a prominent page on its website that says “states continue to raise speed limits despite clear evidence that doing so leads to more deaths” – an assertion that considerable data and many experts have suggested is specious. Instead, cellphone use likely has a more direct link to the new rise in traffic fatalities and injuries. An NSC study earlier this year indicated cellphone use is a factor in one quarter of all accidents. Where in the U.S. Are You Most Likely to Die in a Car Crash? The world is becoming a safer place in terms of dying while driving. From 2005 to 2013, traffic deaths in the U.S. dropped from 39,000 down to 30,000. But 82 people a day, on average, are still suffering fatal injuries behind the wheel — and a new report shows where those deaths are most likely to happen. Rounding out the Top 5 deadliest counties are: Esmerelda County, Nevada; Hudspeth County, Texas; Clark County, Indiana; and, Oldham County, Texas. But where is the safest county in the US? It’s a freaking island otherwise known as the playground of the rich and famous: Nantucket County, which is basically the island of Nantucket in Massachusetts. It helps that this bucolic setting has no highways. Having driven many times in The Bronx, it amazes me it’s the fourth safest county in the country. Apparently the crashes can be spectacular, but there just aren’t enough of them. By the way, wondering what the safest state is? Massachusetts. Apparently, all that congestion around Boston makes it a place where you crash but you don’t die. Interesting. Haskell County EMS added additional personnel. We welcome Tom Hogan, Paramedic and Julie Talbert, Paramedic to the service. They along with Lloyd Dinkel will be working 48 hours on and 96 hours off, giving us advanced life support service care 24 hours a day 365 days a year. Along with Josie Molina working 8am - 5pm Monday-Friday with volunteers coving after that. Haskell County EMS is now able to provide service to Satanta Hospital, St. Catherine Hospital, and Southwest Medical Center. Location of patient is dependant on pt. chose and pt's medical condition. If you have questions on our service we can provide you, please don't hesitate to call us. · The Flu can be spread to people up to six feet away. The flu travels in droplets when people sneeze, cough, or talk. Best Preventative care the FLU SHOT!!! Get your flu shot at your healthcare provider, Sublette and Satanta Clinics, or the Haskell County Health Department. Symptoms generally appear anywhere from 2 to 21 days after exposure, but average is 8 to 10 days. To contract Ebola you must come in physical contact with a person that is experiencing signs and symptoms at the time. You can contract it by contact with human skin, blood, body fluids, or any clothing or bedding the infected person used. Please keep in mind the only people that have been infected by the Ebola Virus in the United States are healthcare workers who came in contact with an infected person, who was infected in Africa. At this time there is no need to panic!!! Dr. Craig Spencer, of New York, was diagnosed with Ebola after complaining of a fever that reached a 100.3° F fever. Even though this case was diagnosed in the United States it is a very key piece of information to know that Dr. Spencer had recently returned from West Africa where he was treating people for Ebola. Dr. Spencer did spend some time out of his apartment while he may have been experiencing signs and symptoms, but at this time Dr. Spencer is in isolation in New York and three other people that had close contact are under observation. GARDEN CITY, Kan. — A Newton-based critical care ambulance service has partnered with St. Catherine Hospital to provide ground and air medical transport services for critically ill and injured patients in southwest Kansas. As of Monday, LifeTeam is now providing a fixed-wing airplane and ground ambulance to transport patients to facilities outside the region that can provide tertiary care, such as a trauma center, cardiac cath lab or a facility that features a stroke team. The plane, an all-weather, pressurized Beechcraft King Air C90 turboprop, will be based at Garden City Regional Airport. Its crew will be housed nearby and will be on “ready alert” 24 hours a day, seven days a week, according to a press release from LifeTeam. The ground ambulance also will be stationed at the airport, where it will be used to transport patients from the hospital to the airport. LifeTeam also plans to station a 206 Longranger helicopter at St. Catherine Hospital, starting in early 2015. It will not be the first time St. Catherine has had a helicopter stationed at the hospital. There is a helipad adjacent to the emergency room entrance on the northeast corner of the hospital campus that allows for landings and takeoffs. Under a previous partnership with EagleMed, a Eurocopter A-StarAS350-B2 transported critically ill and injured patients to and from St.Catherine. But EagleMed discontinued the hospital-based helicopter crew in October 2013, citing a low volume of patient transports as the reason. After the departure of the helicopter, EagleMed continued to provide emergency air service with its fixed-wing plane out of Garden City Regional Airport. Local EMS would transport patients to the airport, and EagleMed’s plane would transport them to another facility. In addition to the patient transport services, LifeTeam also offers a membership program that provides prepaid protection against the cost of a LifeTeam air transport, which may exceed insurance or medical benefits. For members, the company waives all out-of-pocket costs for the transport. Patients with current memberships from other providers also would be covered. For more information about the membership program, contact Courtney Bachrodt at (316) 281-8718, or visit www.lifeteam.us/membership.php. LifeTeam also operates emergency transport aircraft from Dodge City ,Emporia, Hutchinson and Liberal, as well as McCook and Grand Island, Neb. The company also provides ground transport in Wichita and Newton.